The Heimbourg is a small 9ha vineyard located on the east of Turckheim. It lies on a steep calcareous hillside, whose exposition turns from south to west. The domaine Zind-Humbrecht owns 4.5ha in this single vineyard. The south side, which is the warmest and steepest part, is planted with the Riesling grape. Here, the vines are protected from the cooler north winds and the ripeness is quite precocious. At the opposite of the Clos Jebsal, across the road, the Heimbourg Riesling rarely develops noble rot, but does reach high ripeness level due to the solar exposition. The 2010 was harvested very ripe, relatively early, and the yeast managed to ferment almost all the sugars. 3/2012: the Heimbourg develops rich ripe fruity aromas mixed with classic minerals. It is a very complex nose. The vines are finally exploring the best part of the soil and this also shows on the palate: powerful, intense, well balanced with a ripe acidity and a long dry finish. 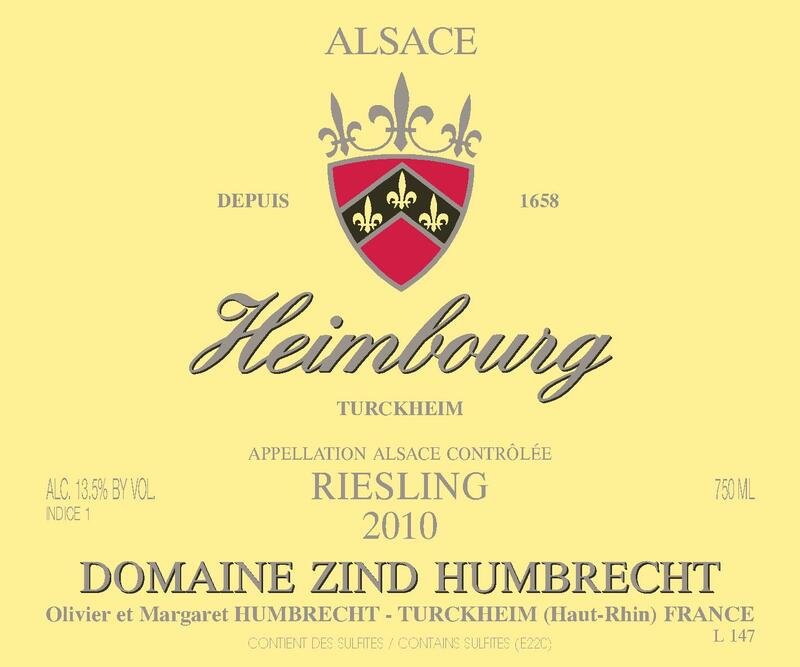 Unlike some other calcareous soils in 2010, the acidity here isn’t as sharp which gives the Heimbourg a gentle touch. This wine will deserve some further ageing.